Originally from New Orleans, Louisiana, Marcus has been cooking since he was tall enough to see over the stove. He's been in Tennessee since he was six years old, but will judge you harshly if your gumbo recipe isn't on point. He is a writer, spoken word artist, occasional journalist, and social justice mercenary supporting many causes for improving the quality of life for all people. He is a fan of all things horror and sci-fi. His lifelong dream is to be the first official Black gay American Doctor Who, and he carries out his misadventures accordingly. The difference is that his companions always make it back home. Please direct all of your cat memes and futile screams into the void to @HarlequinTears on Twitter. 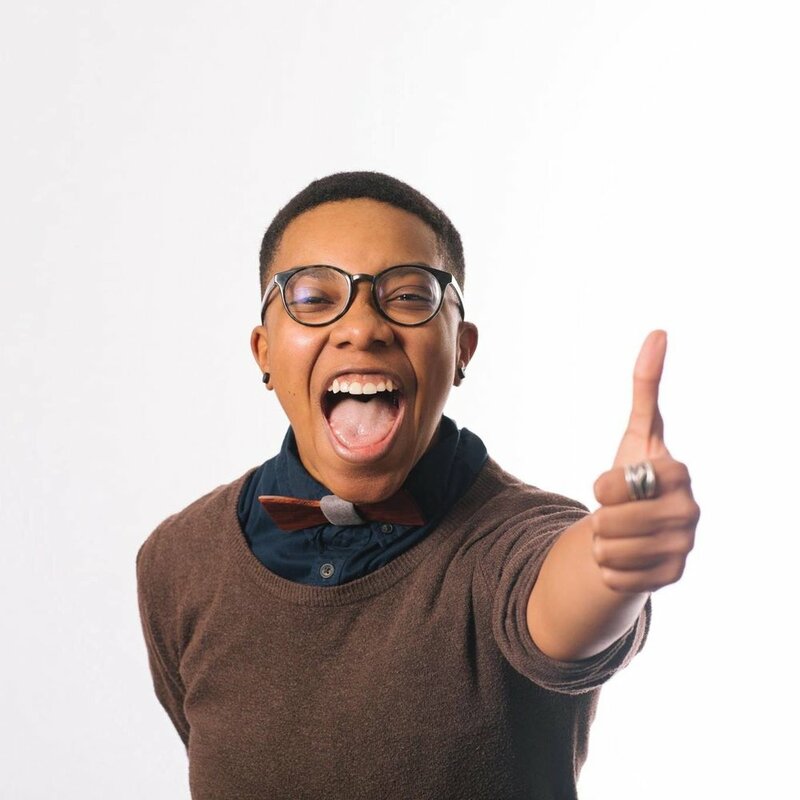 Born and raised in Chattanooga, Tennessee, Jordan Scruggs is a communicator and activist that specializes in reproductive justice and progressing LGBTQ rights. Raised on collards, chitlins, and yellow cake. But also Proud Gemini. Proud Ravenclaw. Proud defender of Southern and Soul food. Challenge them against Whitney Houston and Serena Williams being the GOAT if you dare. If anyone knows when/where they can propose to Cindi Electro Phi Bae Janelle Monáe, please forward that information to @Jscruggs0601 on Twitter. We thought that in our first full episode after the funeral of Aretha Franklin, Vahisha would be the perfect person to talk about the great, the beautiful, and the terrible things that transpired during the service for Aretha. And she certainly was. Marie is the titular host of The Marie Mott Show, a radio show in Chattanooga, TN where Marie discusses what's going on in the city. Monday through Friday, Marie tackles the issues affecting the people of Chattanooga. From neighborhood news to systemic problems in the police department, Marie covers it all. Mary talks about how her work is rooted in love for her people and we get into the need for joy in all of our lives even through struggles for liberation and survival. Jordan and I had the opportunity to catch up with an old friend, Cazembe Jackson. While he's currently based out of Atlanta, GA, Cazembe has organized in communities all over the country. His Texas roots sprawl outward and eastward, with a number of communities which he can call home and has chosen family there for him. Our first episode went up Friday, June 29th! We are absolutely thrilled with getting this project off the ground. Our first episode will launch soon!